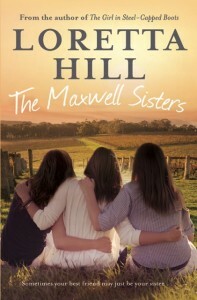 A very big welcome to Loretta Hill who’s dropped by today as part of her blog tour for the release of The Maxwell Sisters. This is a laugh out loud story with a wonderful diverse cast of characters set in the gorgeous Margaret River. You’ll love it! And if you leave a comment here, or on any of the other blog tour posts, you’ll go into the running to win a copy. Thanks for having me on your blog this month. Great to be here. Are you enjoying the summer? I’d love to get more beach reading done. Unfortunately with four kids off school, it doesn’t happen often. In fact, I haven’t had a chance to read “Safe Harbour” yet, which I’m really kicking myself about. It looks like a ripper read. If only I could get through my “To Be Read” pile faster than I add to it. It’s a perpetual problem that in all my years of reading and writing I haven’t yet figured out how to solve. One day! Speaking of books to add to piles of books to read, I’m hoping you might check out my latest. It’s called, “The Maxwell Sisters” and has just hit shelves this month. It’s a story that’s been sitting with me for simply ages, at least nine years actually- since I had to fly to Canberra for my brother-in-laws wedding. This book is all about family and the crisis we go through to try and please each other. Family is about love. But you can also get caught up in envy, obligation, tradition and secrets. We put so much pressure on ourselves to be who we think people want us to be and live up to their expectations – especially for the people we love. This book centres around three sisters, Natasha, Eve and Phoebe, who all live in different parts of Australia. When Phoebe decides to get married at their childhood home, Tawny Brooks Winery, they must all return to help prepare for the big day. Now this would all be well and good if the three sisters could actually get along with each other, weren’t carrying around highly toxic secrets and actually had their romantic relationships good and sorted. Obviously, this is not the case. I had so much fun with this novel because of all the problems and agendas. Everyone had their own plan but nobody’s intentions were playing out. Deep down these girls love each other. They want each other to thrive and do well, but they’re just so lost in their own failures that they can’t seem to see each other clearly. This novel, particularly, was excellent fodder for comedy. Weddings are such emotionally charged things. Everybody’s got an opinion or a tradition. There are going to be noses put out of joint over the most silliest of circumstances. I loved setting mother of the bride against mother of the groom. And just helping, the girls re-visit their old family dynamic of eccentric winemaking father and interfering, over feeding mother. I have three sisters myself. So it was very easy to draw on my own experience of living in a large family and the gentle manipulations we put into play to get our own way. It’s hilarious what people will do. I don’t have time to tell you about all the sisters individually which is why I decided to go on this blog tour and talk about one character a week with all my favourite authors. Today I was going to talk about Eve. Last week, I spoke about Natasha with Jennifer Scoullar. And I’m going to talk about Phoebe on Fiona Palmer’s blog next week. Feel free to follow me there. So anyway, Eve! She’s the middle sister, who works as a chef. And like all middle sisters, she has middle sister problems. Under appreciated, lost in translation, never star of the show. Not that she wants to be. Eve suffers greatly from self-esteem issues. She doesn’t think she’s all that great…. at least not compared to Phoebe and Natasha. She’s the dud one – the one that never got the stick thin figure or the dead straight hair. She’s curly and curvy and just a little too shy. So shy, in fact, that she doesn’t tell her best friend, Spider, that she’s been in love with him for the last seven years. Then one day, he meets her sister Phoebe and falls instantly in love with her. He leaves the restaurant he and Eve started together, he proposes to her sister and their joint venture falls apart. Now Eve is left with a failed restaurant dream, a broken heart and the charming position of being Phoebe’s bridesmaid at the upcoming family event. Her only consolation is that nobody knew about her secret feelings for Spider… or did they? You’ll have to read the book to find out. I think character growth in stories is very important. And as a writer I’m always looking for ways to make my characters evolve. Readers want to cheer for a character who is able to develop, change and realize their true potential. It was wonderful bringing Eve out of her shell and helping her see how much more she has to give than she first thought or indeed others realize. Eve is easily embarrassed, afraid of being centre of attention and not very good when it comes to men (or so she believes.) So, of course, I took every opportunity I could to put her in these sorts of situations with the help of her own special hero, Adam Carter. I spoke about Adam on Margareta’s blog. So feel free to read about him there if you missed it. Anyways, it was great chatting to you about “The Maxwell Sisters”, Helene. Hope you’re writing up a storm right now …or maybe an earthquake. You wrote up a storm last book didn’t you.J Ha ha! Okay, bad joke. My point is! Always look forward to new books from you. Thanks, Loretta, lovely to learn about Eve! She’s such a wonderful rich character who I just wanted to hug. 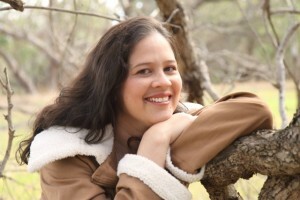 Feb 23rd – Wrap up on Loretta’s Blog. Blog Australian Author, Australian writer., Family Drama, Helene Young, Loretta Hill, Margaret River, Margaret River Wineries, Penguin Australia, Random House, The Maxwell Sisters, Wineries, Women's fiction. permalink. Chanpreet, it’s wonderful when I empathise with a character so much that I feel as though I’m in their skin. I think Eve was that sort of character for me. I loved the book Loretta! And can’t wait to meet you when you come to Cardiff Library on the 17th February 🙂 I’m very excited about it! I love books that can make me laugh and cry. There’s just something so amazing about connecting with the characters that makes their highs and lows personal. Thank you Jane and Kathryn. I hope you guys enjoy the book when you get a chance to read it. A great post. The Maxwell Sisters sounds like an interesting read. I have been waiting until school goes back to purchase my copy of The Maxwell Sisters, as I know I will be absorbed in the book. Can’t wait !! Thanks so much for having me on your blog today Helene. And so glad “The Maxwell Sisters” gave you a few laughs.